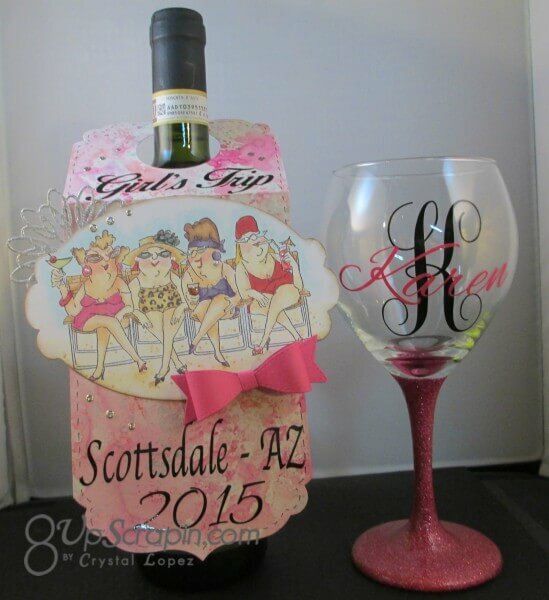 Today I want to share a creation I made for a girls trip . 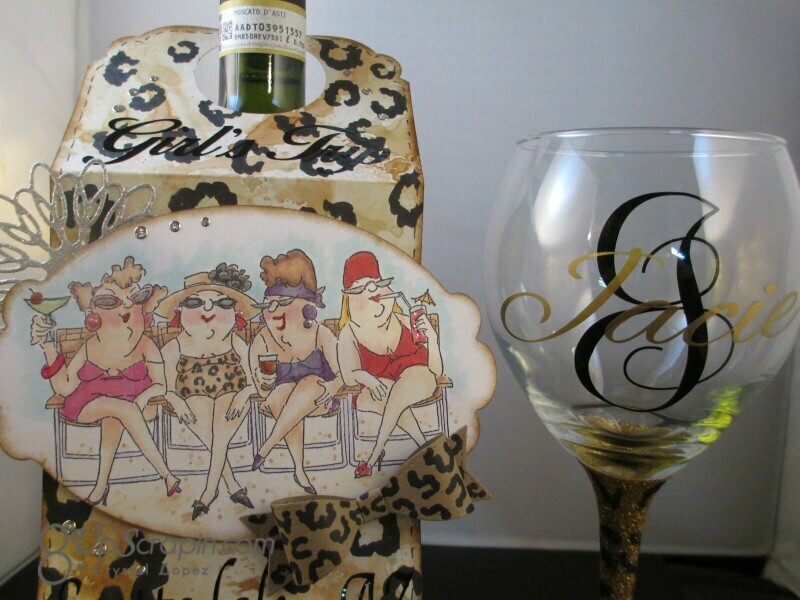 I made wine tags to match the wine glasses , the rubber stamp I used to create this tag is called Girlfriends set of 4 from Art Impressions . I colored each girl with Copics in a different color Hot Pink , Red , Purple and Cheetah ,I do believe that the cheetah is my fav and yes cheetah is a color in my world lol…. 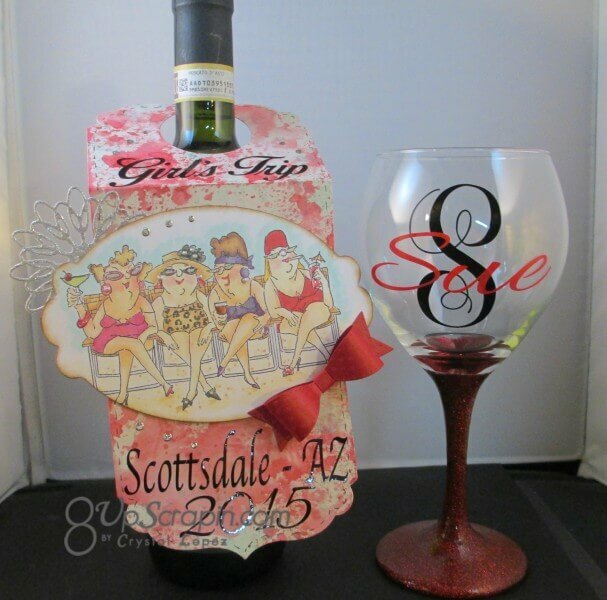 I then water colored my tag base to match the girl and then glittered the stem of a wine glass to match and added her initial and name to the glass , talk about custom and all had colored and handmade . I am going to enter this in Art Impression challenge 159 “Lovely Ladies “ this week . Challenge #173 – HOT TRENDS- Beautiful Backgrounds! 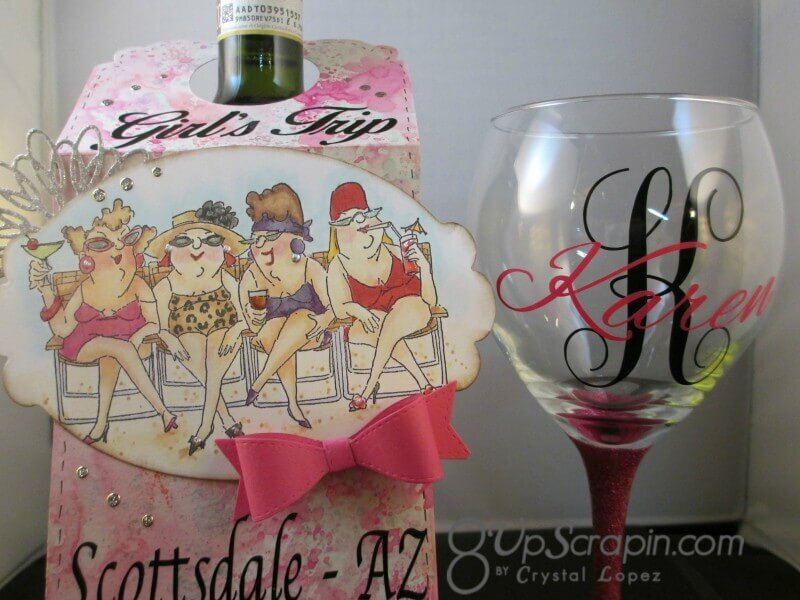 These wine bottle tags are absolutely gorgeous! I love the image and the way you colored them! Thanks for playing along with us at Scrapy Land Challenge #17! I love that image… so cute and it’s beautifully colored. 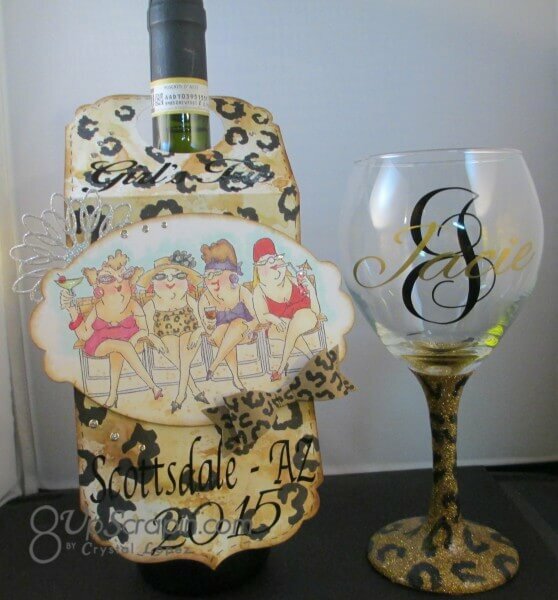 Great idea using is for a wine bottle and the theme!! Awesome creation. Hope to see more of your creations here. Thanks for joining Brown Sugar Challenge. OMGosh!!!! I want to go on that trip. What fun presents for your friends. I love, love, love those tags. Great AI image and those bgs are so darn fun! 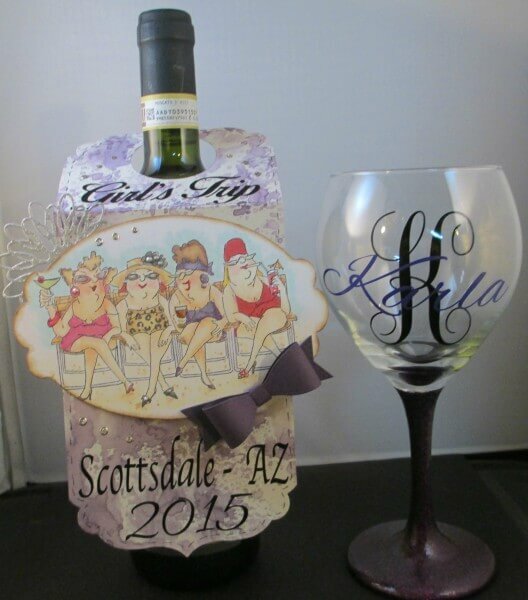 Thanks so much for sharing these fun creations with us in the DRS Designs Challenge! Wow, aren’t you clever. What a fun project and how special to make each different for each gal. Thank you so much for entering the Kraft Journal Challenge. What?? None with MY name on it??? 🙂 These are amazing!! Love every single detail! 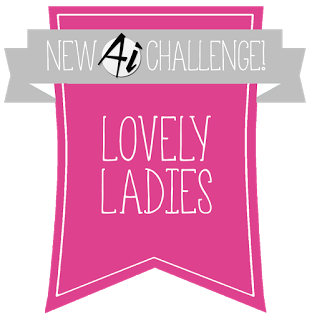 Thanks so much for joining our Lovely Ladies challenge at Art Impressions! Wow! What an amazing project! 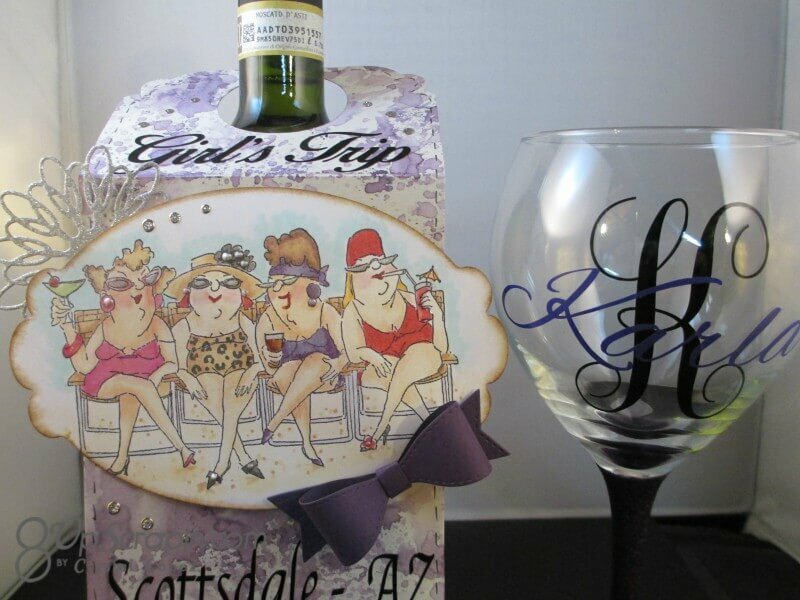 Love the image and I’m sure the “girls” will enjoy their custom made glasses! Thanks for sharing your projects at Incy Wincy Designs this week. Such wonderful projects. Thanks so much for sharing with us this week.